United Amayi knows that a comprehensive and culturally sensitive approach to development issues in Malawi is absolutely imperative. So, we believe that charitable organisations work best when they are united. We'd love to hear from charities and NGOs in Malawi who are running projects that could benefit from our expertise, or vice versa! Please complete the form below and we'll be in touch. Alternatively, if you are a business that is interested in providing financial support or services, please look at becoming a corporate sponsor of United Amayi. This week, we were given a wonderful gift from two anonymous donors. Our supporters decided that instead of wedding presents on their big day, they would ask their guests to donate to United Amayi. Our founder, Emma, spent the summer in Malawi for United Amayi's 2018 graduation in Mangochi and Lilongwe. Each year, our ladies graduate in style with a get together with much food, laughter, and singing! Do you shop on Amazon? Millions of people do every day, so we're guessing you might be one of them. If you are, you can now raise money for United Amayi every time you make a purchase using Amazon Smile. Our founder, Emma, has recently graduated from university (with a first class BA in International Development - congratulations, Emma!). The extra time for work both in the UK and out in Malawi means that United Amayi is stepping up to the next level. United Amayi is a charity that aims to improve prospects and relieve poverty for women in Malawi through education. 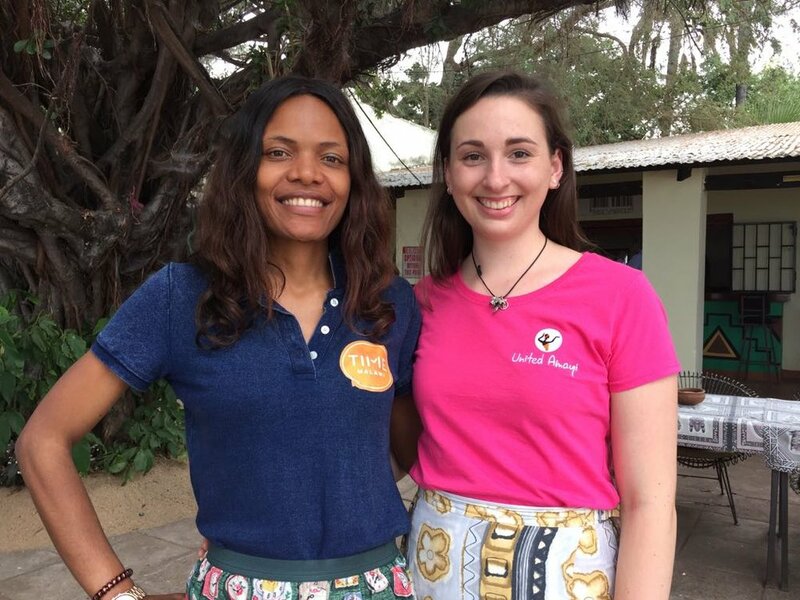 The organisation began as one English language school, running a year-long programme to teach ladies in the Mangochi village conversational English.